The combination of white and wood will truly never fail! 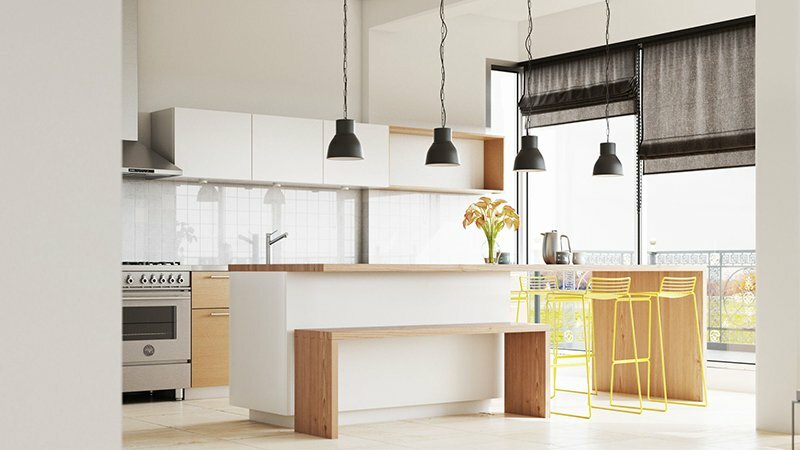 Like other parts of the house, the kitchen should also be decorated and designed to make it look beautiful, organized and functional. 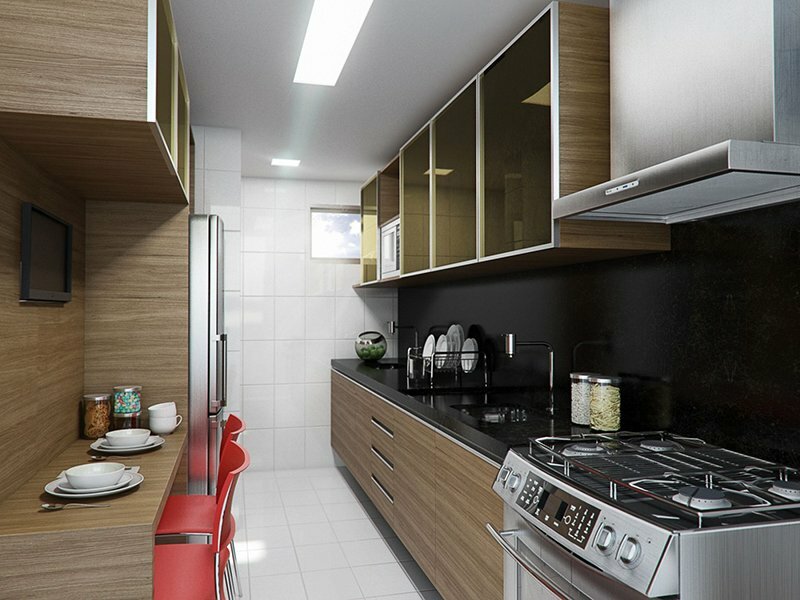 And when we talk about kitchen designing, we can choose a certain color scheme for the area or a mix of materials too. Commonly, wood would be used in it but of course, some kitchens also add stones and others to bring texture to the area. 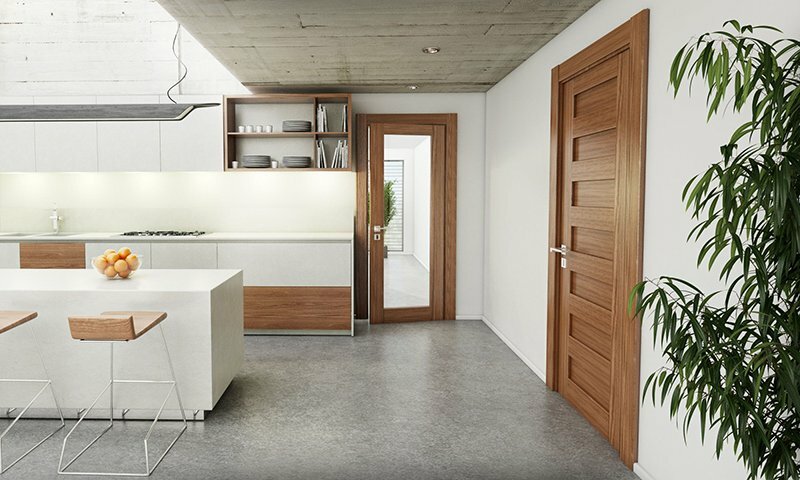 While others paint wood, there are some who prefer to retain the natural feel of wood to add warmth to the kitchen’s aura. 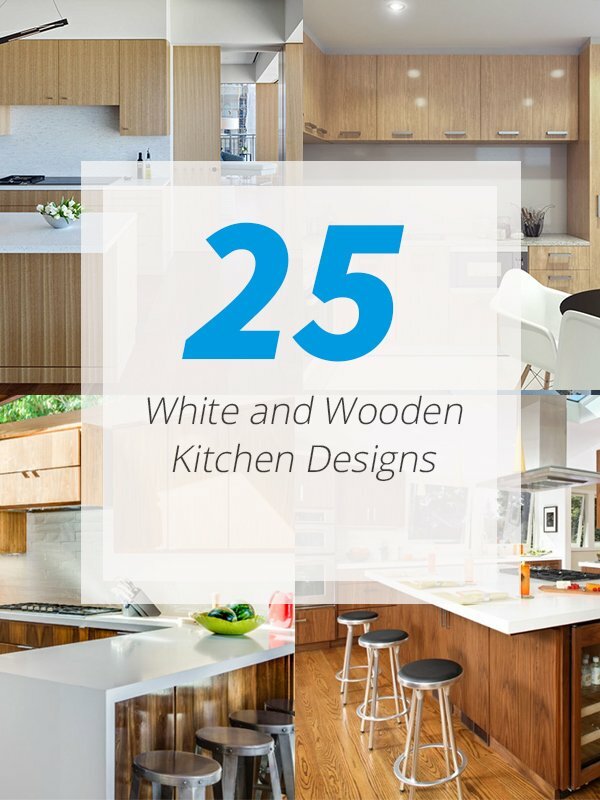 Today, I am going to show you a list of lovely kitchen designs that use a combination of wood and white colors. For sure, you will be pleased to see how this two look really gorgeous when used together. I am a long time fan of white and wooden combinations but I think this is the first time that I will make a list about it. Scroll down and check out what I have collated for you. 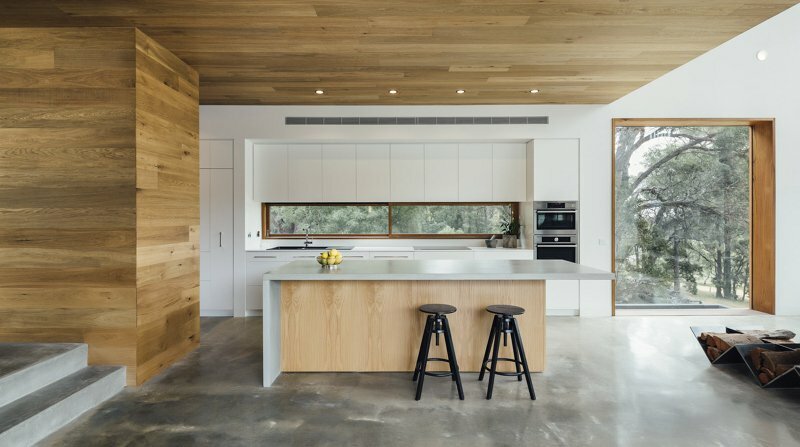 Love all the textures that I can see here since it used two variants for the wooden finish giving emphasis to the kitchen island. 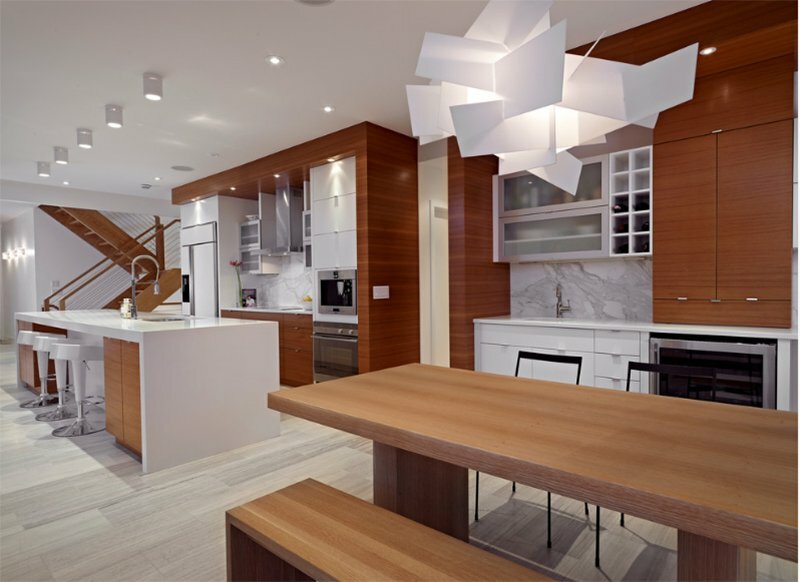 Aside from the white countertops and cabinets, you can also see an open wooden shelf and the wooden kitchen island. I like how the layout is done as the cabinet part of the kitchen act as a divider from the living area to the dining area. This home seems to have some traditional touches in it and it was used in a nice way just like that arc window. 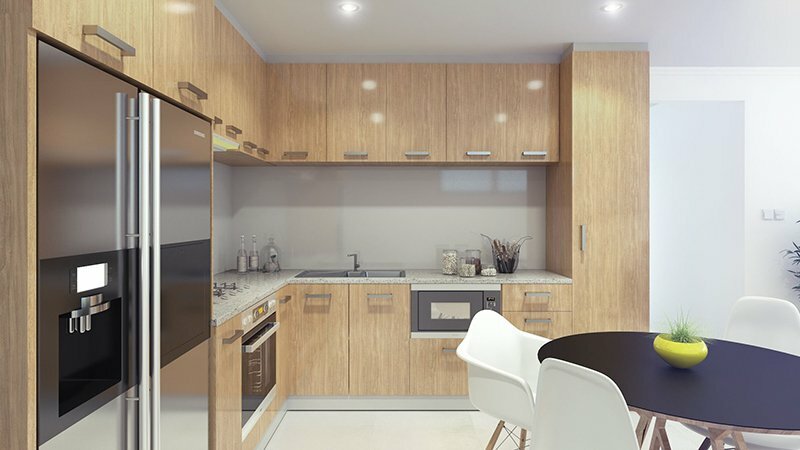 A neat eat-in kitchen doesn’t just have white walls and flooring but it also has wooden cabinets around it as well. 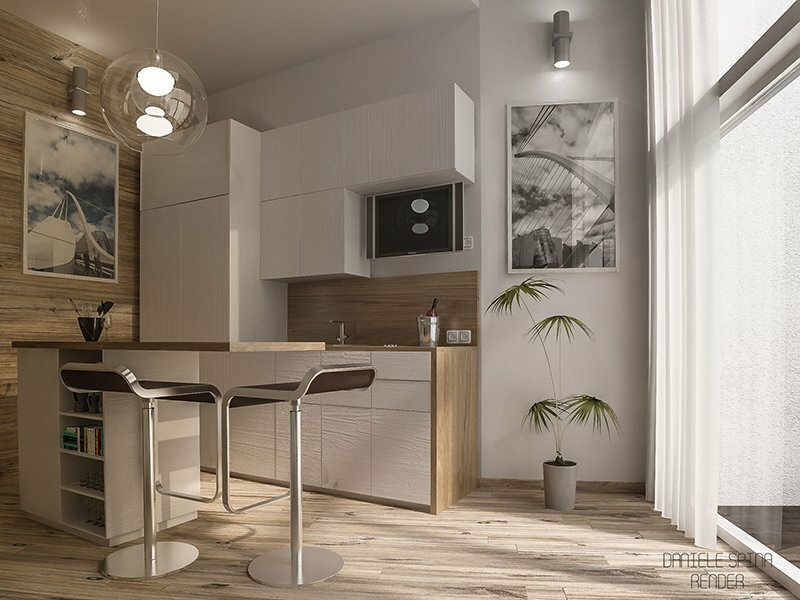 Although the kitchen is small, I know that you will be able to appreciate its beauty as it combined wood and white colors. Lovely! 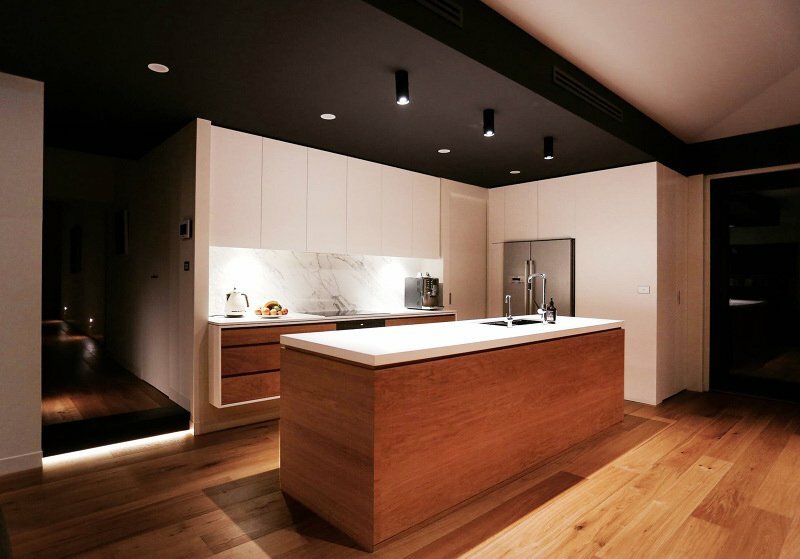 Although this one also use black for the ceiling, it does look really nice with the contrasting white and the wooden elements. 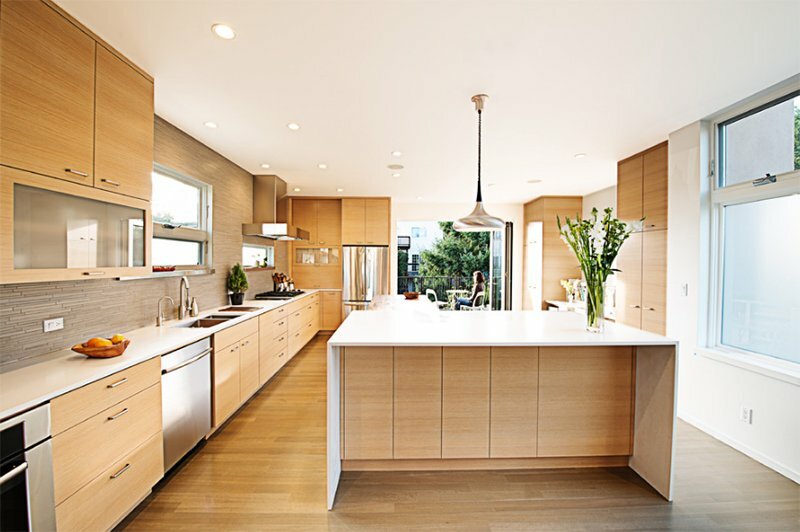 A long and narrow kitchen has wooden cabinets around it from the ones that are hanging to the ones below it. 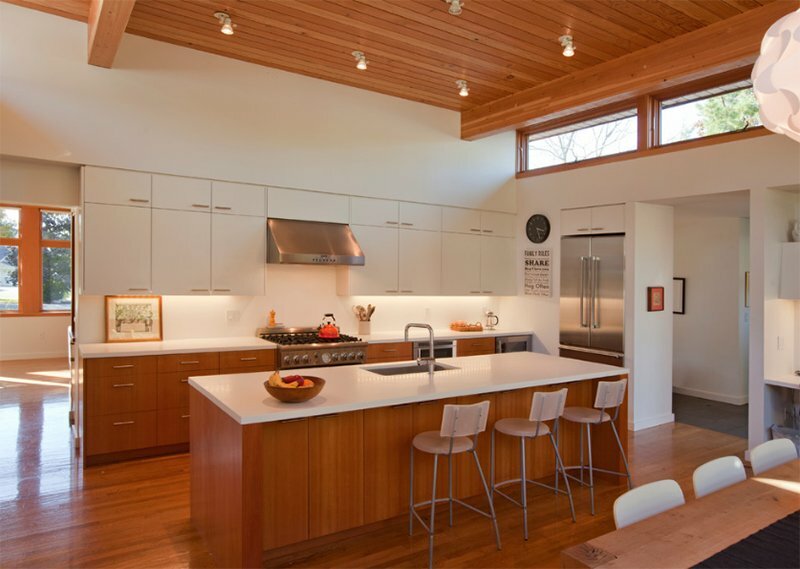 A spacious kitchen that has a tall ceiling and white colors all over it. 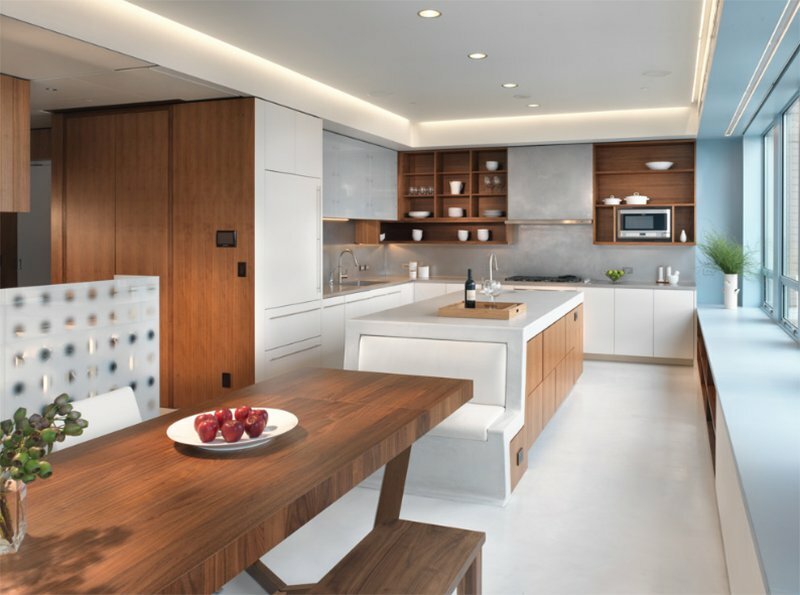 You can also see that it has wooden elements on it too from the kitchen island to the cabinets. 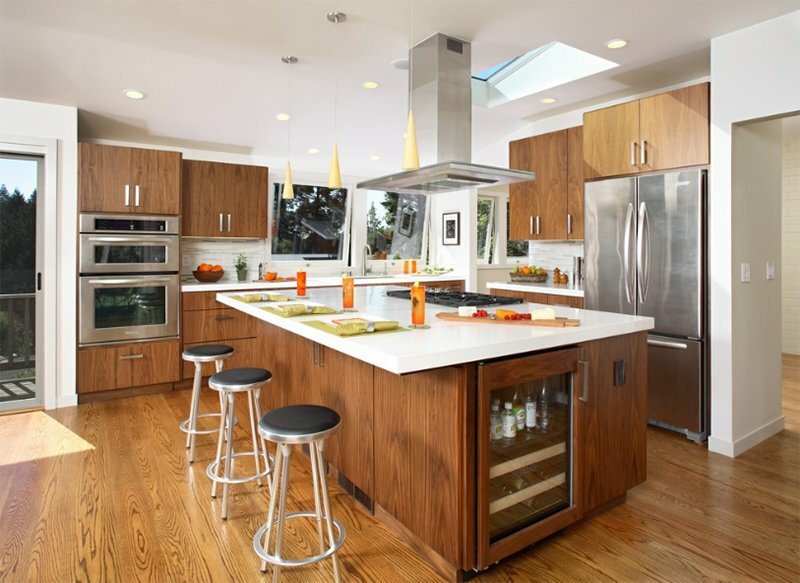 Another lovely kitchen which features a big island with counter height chairs on both ends. Don’t you love the look of wood here? 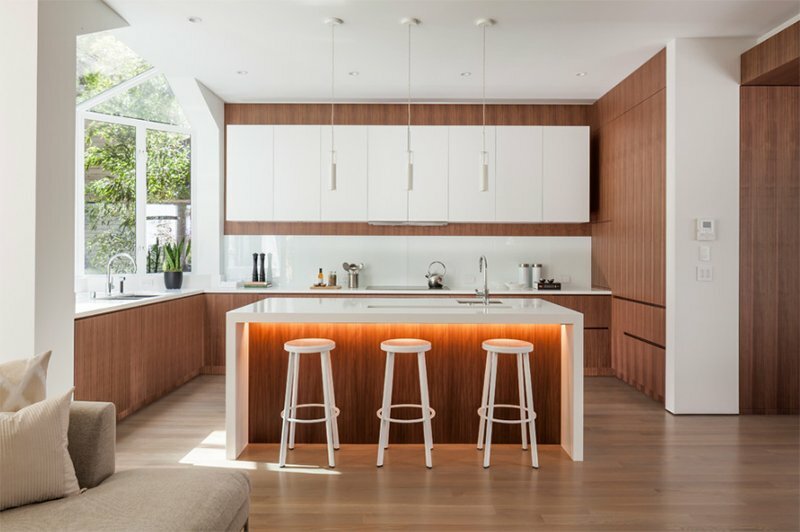 For this kitchen, light wood is being used which makes it appear to blend with the whiteness of the area. Isn’t this lovely? 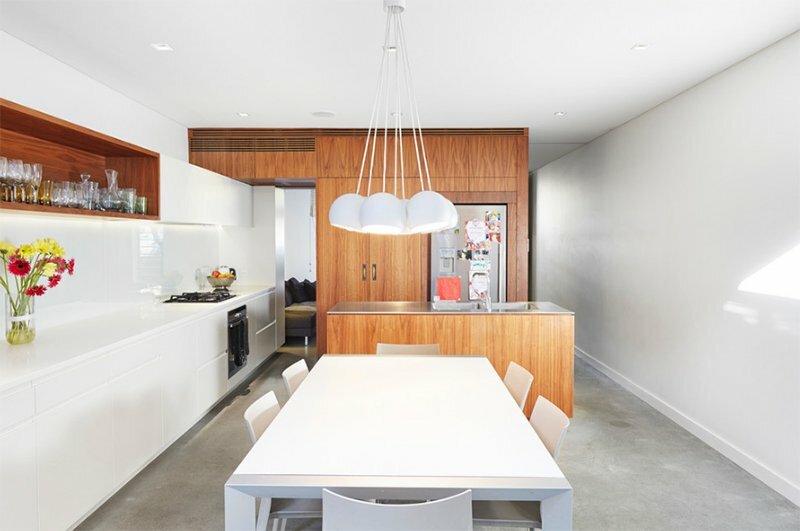 What caught my attention is the pendant light but aside from that, I like the way the cabinets are designed. This is apparently on a higher place blessed with a good view of the city. And you can see wooden elements in the area not just in the kitchen. I like how they did the layout of this kitchen as it used two islands. One is for cooking food while the other is a home bar. Aside from wood, you can also get natural elements from the painted white stone walls. And it looks even better with the natural light that gets to the home. 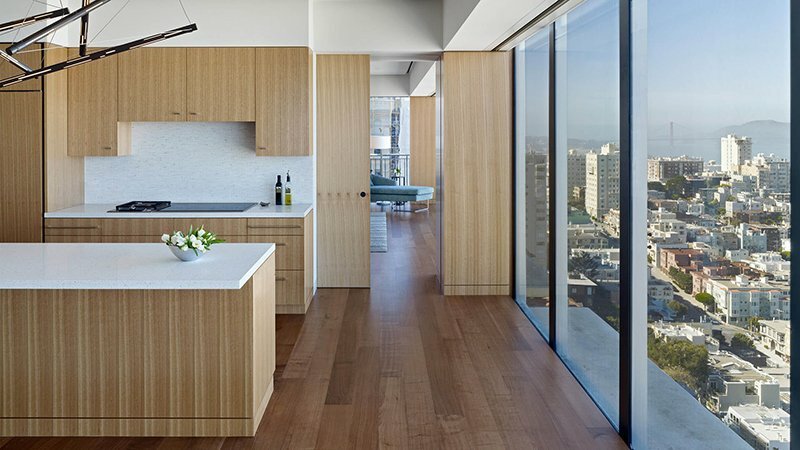 With a central island, this kitchen looks really ideal for those who love cooking. It seems to have everything that one needs! I like the subtle industrial feel of this kitchen as it used unfinished concrete for the ceiling and wood for the chairs and the cabinet. 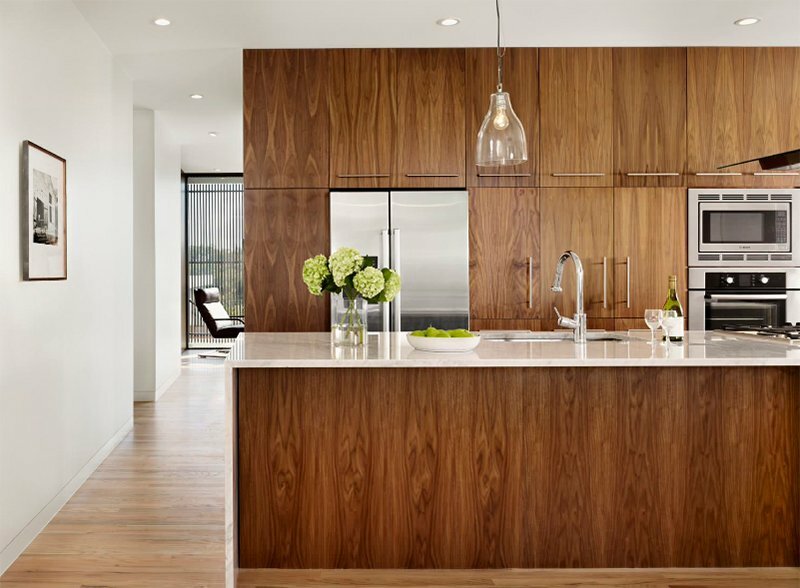 Aside from white and wood, this kitchen also has wooden cabinets on the wall and do you know what else I like here? that white bench connected to the island! 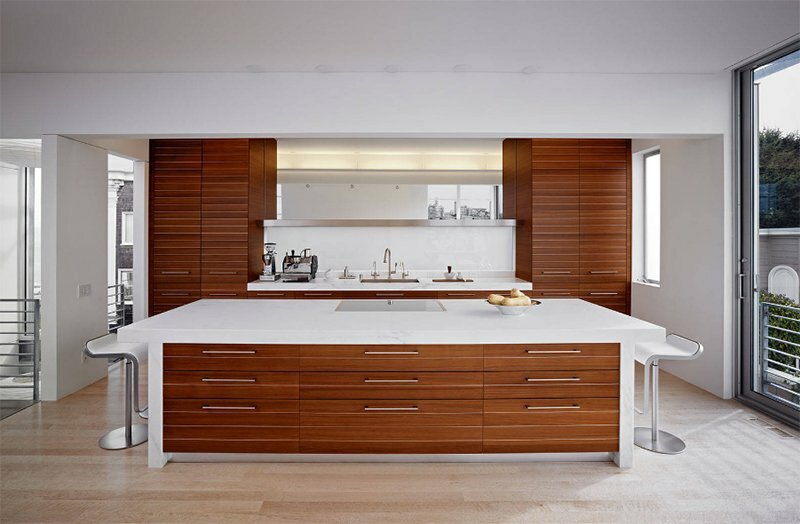 I like the backsplash of this kitchen but aside from that, I also love the look of this wood with glossy white and wood used together. 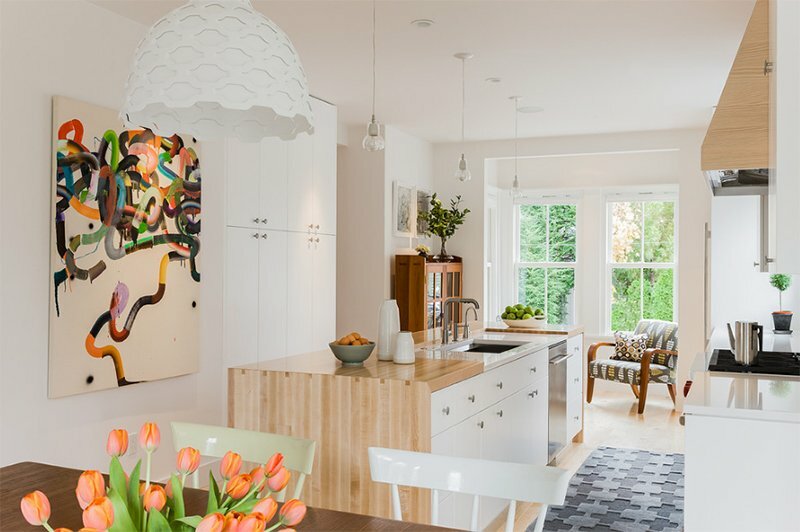 Isn’t this a stunning spacious kitchen? 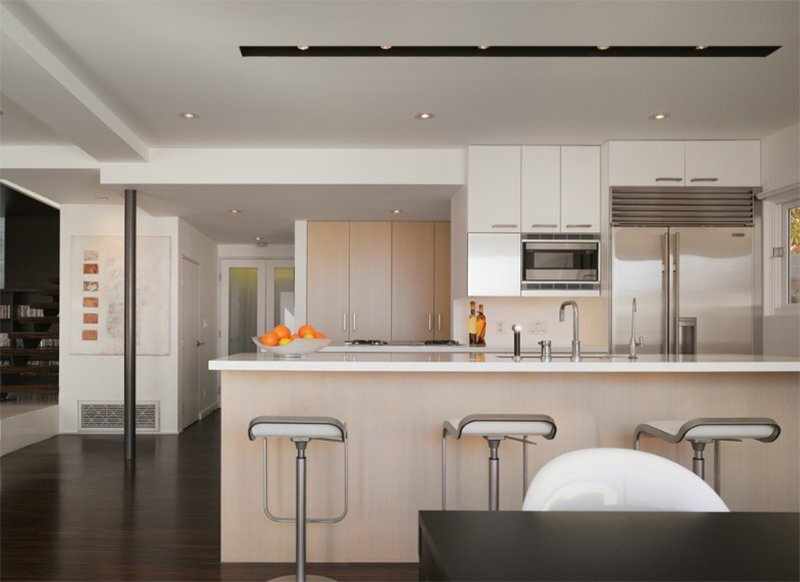 Notice the cabinets used here and that island. Now that is enough storage for sure! 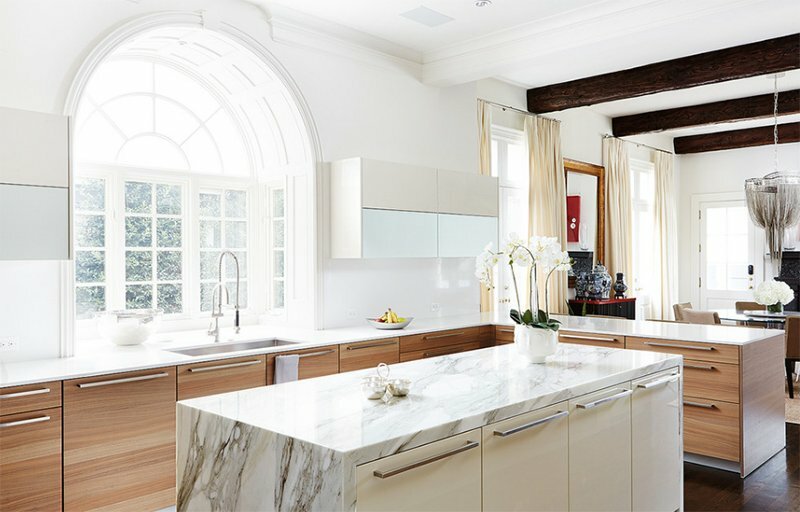 Aside from the use of white and wood, this kitchen is flooded with natural light because of the windows on the sink area. And the lights under the island look really nice too. 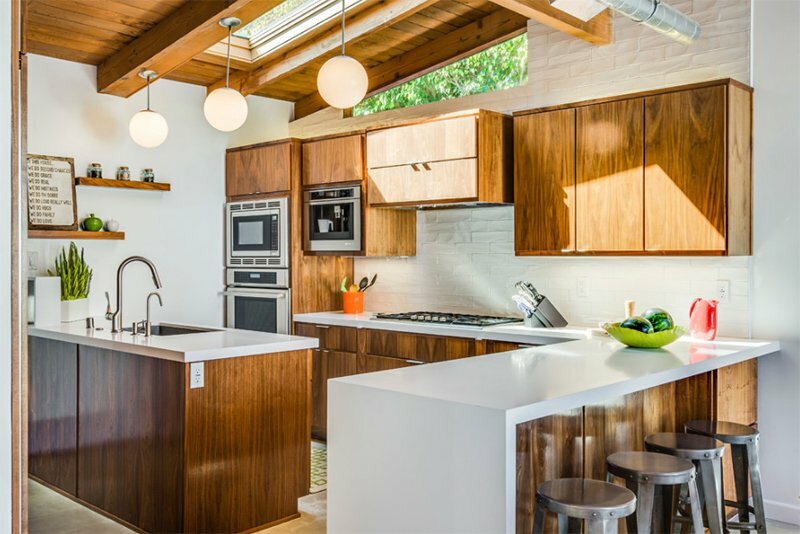 Just a small kitchen but it has apparently added beauty to the entire space with its wooden countertop to the white cabinets! It isn’t just the color scheme that I like here but also those yellow chairs! So cute! 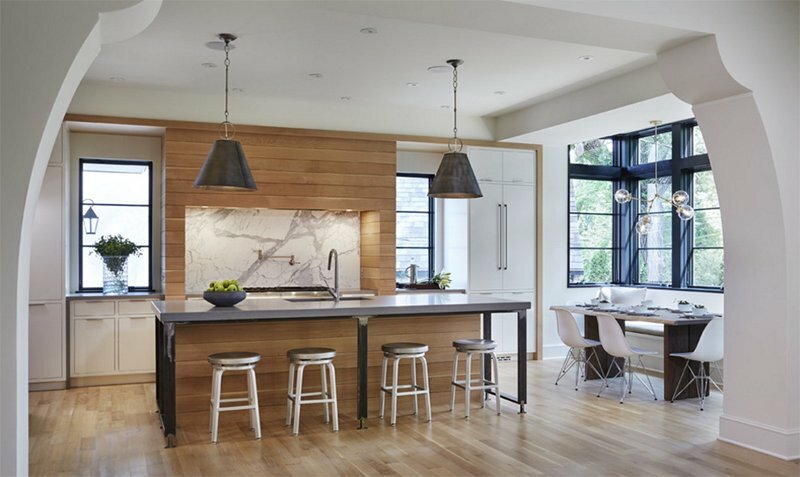 Black pendant lights over the kitchen island adds appeal the area. I so love how it looks like with all the white colors and wooden features too. 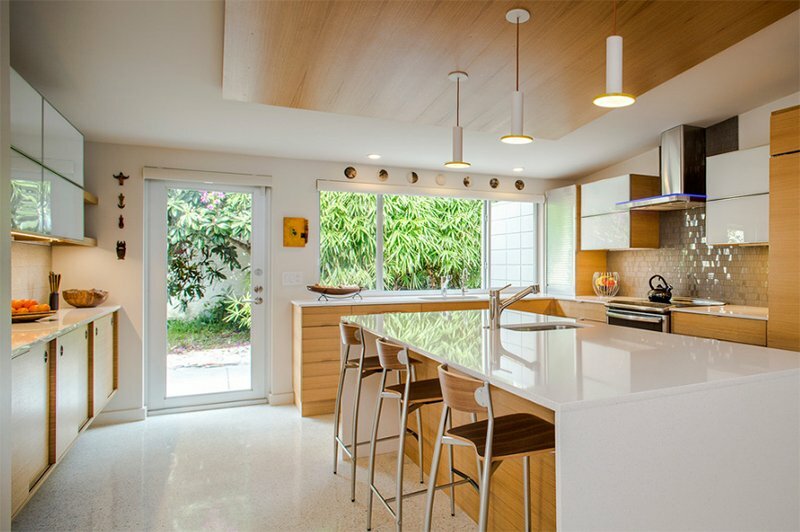 This kitchen has wooden cabinets all over all but to balance the look, it added white countertops for the island and painted the ceiling and walls white. Although this house appears like an update to an old house, the designer apparently did well. And look at how wood is used in it! 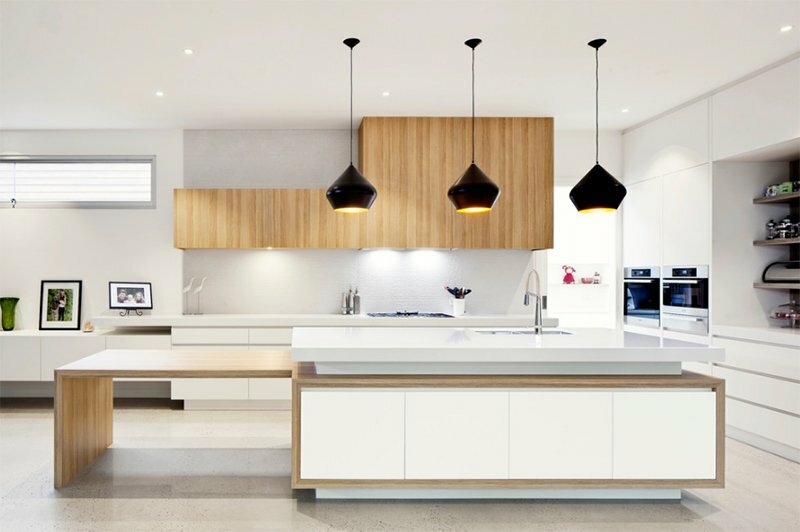 I know you will agree with me that these kitchens look really neat and beautiful. And it will make you feel relaxed as well because of the serene aura being created with the combination especially when it used light wood. 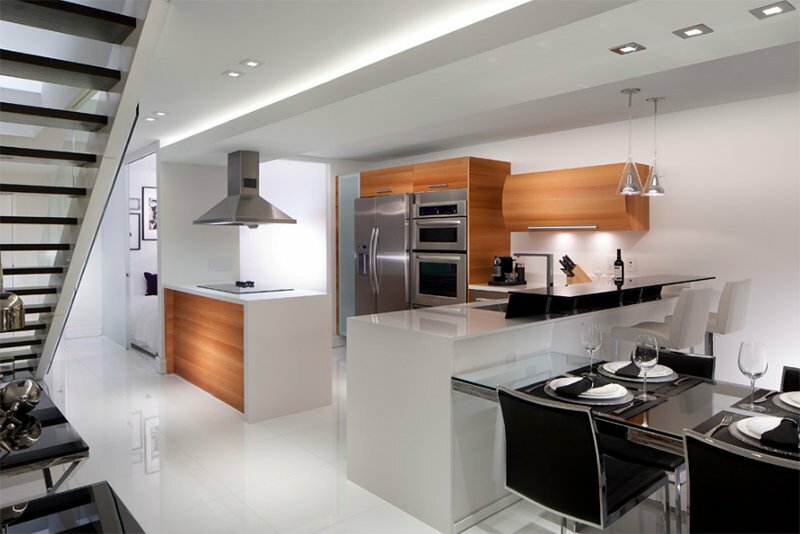 Indeed, whenever we use wood, it instantly brings a natural atmosphere into the home and whenever we use white colors, it could bring an organized and balanced feel to the area. Aside from the kitchen, we can also use this combination in other areas of the home too.